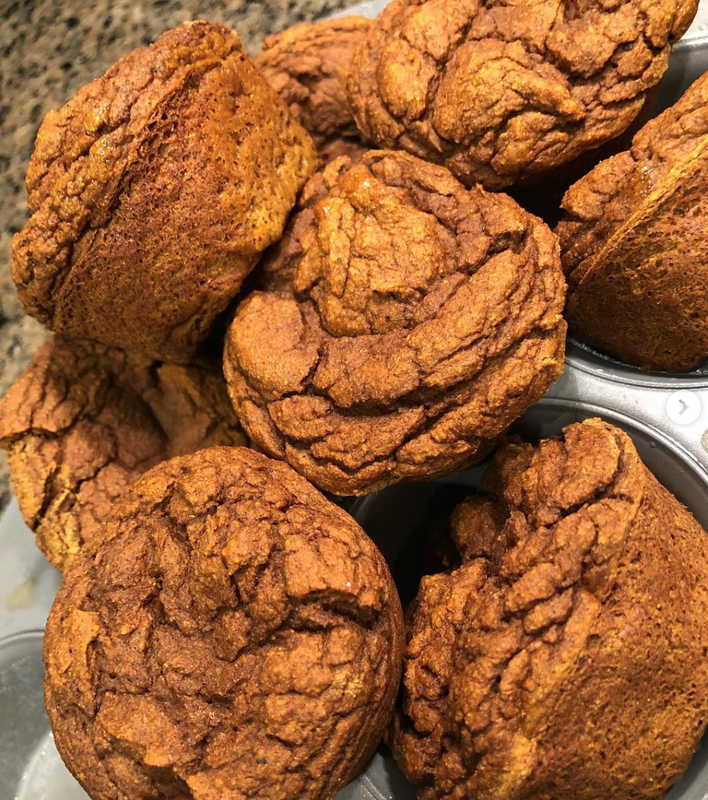 #MomApproved 👌🏻 Banana pumpkin spice muffins 🍌 AAAND only 100 calories per muffin! 1.5 Scoops of Core Nutritionals Vanilla PRO. Do not forget to use code Katie20 for 20% of ALL Core Products! This blend is perfect for baking. I used Kerrygold butter. This can be replaced with another butter or oil of choice. I only used half of a banana because that’s all I had. 🤷🏻‍♀️😂 You could swap out some of the pumpkin for more banana if you want a stronger 🍌 taste. Take out of the oven when still slightly gooey so they have a thicker consistency once cooled. This is one of my FAVORITE recipes I’ve ever whipped together! 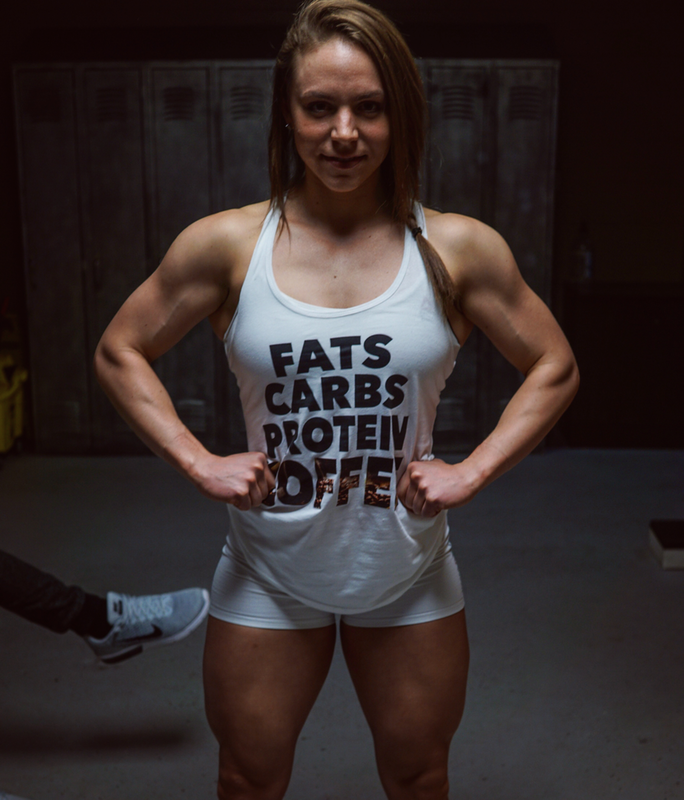 I would consider myself a member of both the powerlifting and bodybuilding worlds, or having competed in both and focused on both at various times during my fitness career. From observation (and previously, participation), groups tend to talk “down” or negatively about another group outside their own. 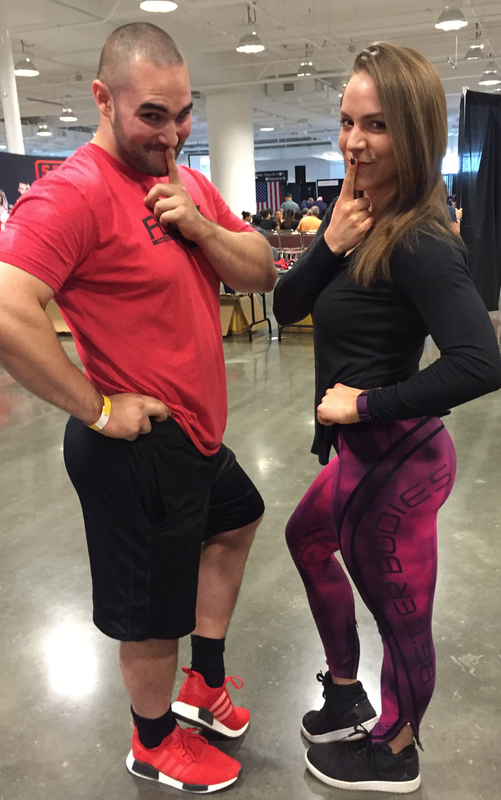 As a powerlifter, it can be easy to categorize all physique athletes as “self absorbed, body obsessed individuals”. As a bodybuilder, it can be easy to fall into the trap of categorizing all powerlifters as “individuals who have little regard for their overall health and only want to lift heavy”. Neither of these are true. I have to admit that I have fallen into both categories, having judged bodybuilders before I was one, seeing them as those who were solely obsessed with their looks. Before I started powerlifting, I also thought of it as something used as an excuse for individuals to “bulk up” in an unhealthy manner and leave general health and wellness behind. "Sides" form within the fitness industry... Bodybuilders become obsessed with a number on the scale and a body fat percentage... Powerlifters become obsessed with how much weight they can lift. The reason I use the word “obsession” is because it is idolization. An obsession becomes IDENTITY. One is not worse than another. Someone’s fixation on staying at an unhealthy sub-8 percent body fat is NOT any more dangerous than someones obsession with doing ANYTHING to hit a certain deadlift number. Both are glamorized in various circles in the fitness industry. Obsession becomes cool. I can speak from experience that obsession is NOT cool. I have been obsessed with my leanness and obsessed with my powerlifting marks at various times. Over the past 6-7 months, I have taken a step back and gained a greater perspective of why I was seeking worth in these measures. I was finding my IDENTITY in something futile and OF this world (aka temporary and WILL go away). I can guarantee that it will never satisfy you. I am thankful for my experiences in both circles in order to gain an appreciation for passions outside what I personally do and can fully understand. Your obsession should lie in your purpose in this world. Each of our purposes should involve reaching those around us. We are not meant to live for WE... What good does it do if we die with only self-serving accomplishments? I can guarantee to you that very few will remember how many powerlifting meets you won or how many pro cards you had. Instead, they will remember the impact you may have had on them personally. "Judge Not" is the title of this blog entry for several reasons. Stop assuming you know everything about another person. Stop assuming you are better than someone else. You are just as guilty of putting your self worth in something other than what is actually important in life. It is perfectly fine to put your talents, resources, motivation, energy, and passion into something like an athletic endeavor or pursuit. However, is it your identity? What would happen if that was stripped away from you? What if your squat PR was half of what it is today? Judge not the lives of others but rather seek first your purpose in this life. Getting the commands down for squat, bench, and deadlift are essential BEFORE you step on the platform. I have seen many individuals miss lifts because they simply did not understand the commands that are involved in the squat, bench, and deadlift. I go over these commands and a few things to think of below. RACK: once you complete the squat and have control over the weight at the top of the squat. START: once you get the bar over your chest, have control of the bar, & your glutes / upper back are both in contact with the bench. Bar must be motionless. PRESS: after bar comes to a complete stop on your chest. RACK: after lockout is completed and elbows are locked out fully. They will let you know that the bar is loaded. There is no start command. DOWN: The head judge will give you a down command once you fully lock out the deadlift. ZOATS! Have you ever tried adding zucchini into your oats? :) One of my favorites when I am in a deficit or dieting. Zucchini is a fabulous "volume" food (low in calories: a whole medium zucchini is only about 10g of carbs!) that you can to your oats & provides a serving of veggies to your daily breakfast. It has a mild flavor and is hardly able to be tasted if cooked properly. Other additions can include cinnamon, pumpkin pie spice, or even canned pumpkin for a bit of fall twist and more fiber! I personally love to top my oats with a serving of De Novo Nutrition white cake whey (mixed with pudding mix & greek yogurt), but you can cook egg whites into the oats for the last 5 minutes. 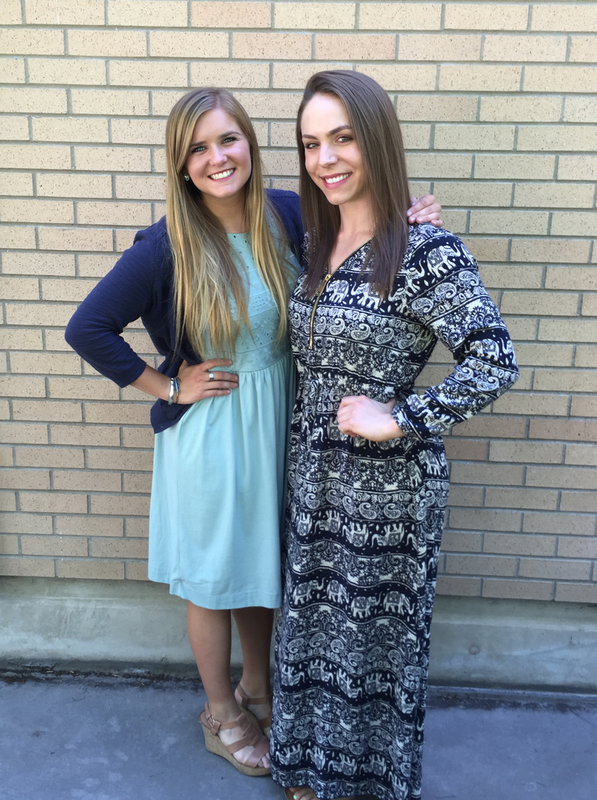 Lately, I have been praying (a lot!) and thinking hard about my path moving forward. I have always been the type of person who enjoys the training more than the actual competition. Just because I compete regularly doesn't mean I HAVE to compete any time soon or feel the pressure to get back on stage or back on the platform on a certain timeline. I want to do it because I want to - not because I feel I have to. This summer, I want to have fun and change up my training a bit. After discussing my options with my coach, I have decided to enter into a mini-cut to lose a bit of body fat and see how my body responds to the changes. It will not be anything drastic, but it is exciting for me to enter into a cut after not dieting down for over two years. I realize that probably the majority of my followers have never seen me in a deficit or diet down! I have spent the past two years focusing on powerlifting and gaining weight slowly. This is interesting to me because it seems like yesterday that I was in contest prep, but it indeed has been two whole years! 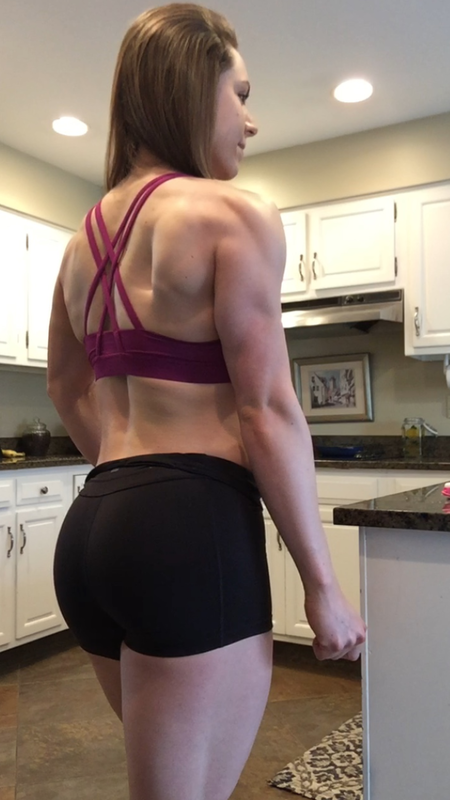 Right after I made a post about entering into a cut, I received many questions surrounding it --- am I cutting out food groups? Am I adding in a lot of cardio? Will I have cheat meals? Well, NO, kinda, and nope ;) Cardio maybe once or twice a week tops. No cheat meals, still counting macros each day! I realize that many people are still unaware of how to incorporate a flexible diet into their life and still lose body fat. Below are my pictures after a couple of days of dieting. I feel as though I am in a good spot at 160lbs! Thanks for reading and excited to have you all along in this journey! See video below for my recent training and explaining why I am entering into a mini cut. Today, I want to talk about positivity. How positive are you with yourself? Each day is a BATTLE of the mind. I do not believe that individuals are inherently happier or have a more positive attitude. Like any skill that you must develop, your attitude and positivity is something you must also work on as well. I often am asked the question, what do you think about right before a big lift in the gym or on the platform competing? My honest answer: I am telling myself that I CAN and that I WILL do the task ahead of me. I do not question myself. Sure, I am not perfect and there are times that I doubt myself in training or in competition, but for the majority of the time, I believe in myself and I believe in my capabilities. I know that I have a purpose in whatever is set in front of me - even if it is as simple as lifting weights and accomplishing the task at hand. Think about it this way… The attitude you have before and after a lift can impact numerous people around you (those in the same room... Those who see video of your lift). 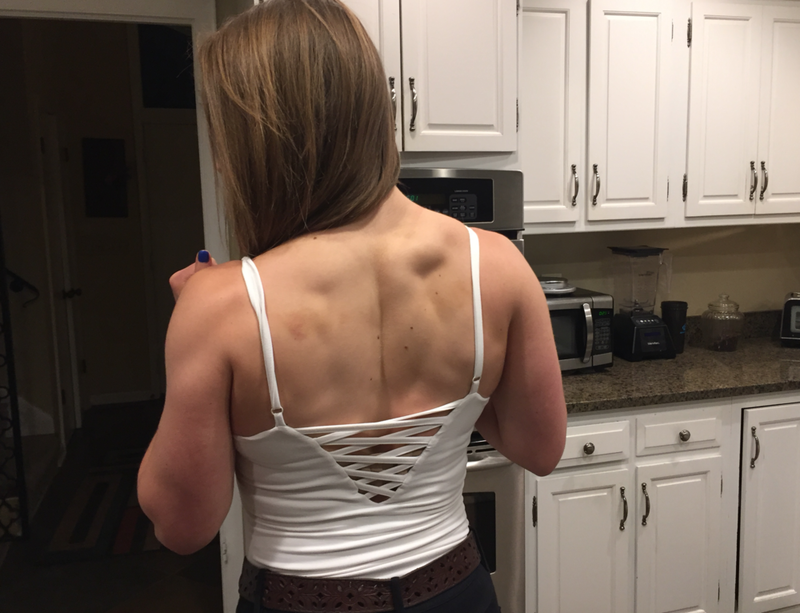 How do I want others to see lifting? I want them to see it as a task that CAN be accomplished and a task that can empower you in other aspects of your life. 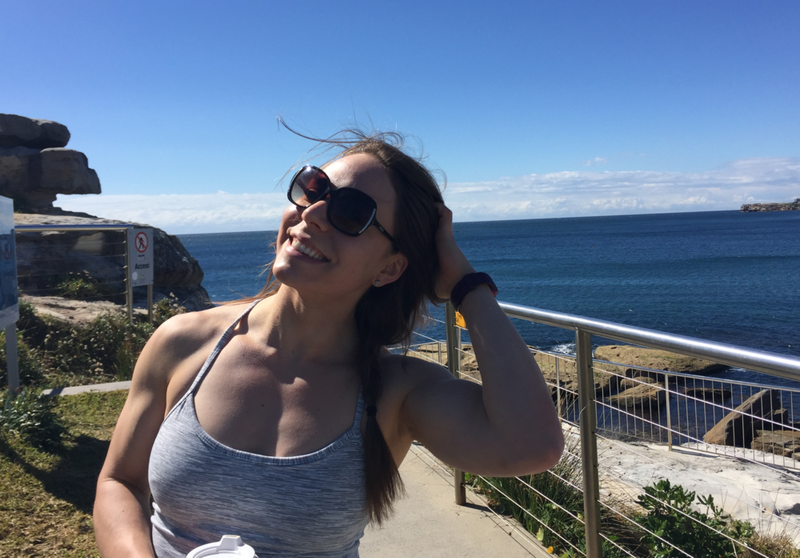 Positivity is something that MUST be practiced, similar to how a powerlifter must practice their form or a figure competitor must practice walking in heels and posing. Nothing in life is automatic. Sure, certain circumstances will allow an individual to be primed to be happier at various times. However, I can tell you that some of the most miserable people I have ever met have some of the best “circumstances” you could imagine. It saddens me to see so many individuals harder on themselves than anyone else in their life. It is frustrating to me to see so many people pick apart their bodies day after day when they are in fact beautiful and made for a special purpose. BEGIN using your gifts and BEGIN a new mindset. You can renew your mind by simply telling yourself you CAN and you are CAPABLE. Start simply in the gym. Tell yourself that you strong, fierce, and can do incredible things. It is amazing how starting this positivity in something as simple as lifting weights can transcend into other aspects of your life. Soon you may see that your positive perspective is impacting those around you...To work harder and be more persistent in their dedication. You may also find yourself more positive in other arenas of your life. 1.) Wake up every day and listen to a positive message on a podcast, in a devotional, or something similar. Starting the day in the right mindset is KEY. 2.) Think of three things that you are thankful for before you open your email, social media, or look at any texts. 3.) Tell yourself that you CAN accomplish what is in front of you for the day. 4.) If you find yourself doubting your abilities, tell yourself that you can do more than you think. “You got this. You CAN do this. God is with me” --- I say those on repeat. 5.) Unfollow anyone who does not add something positive to your life on social media. Hope these help and keep up the positivity. High school runner, aiming to run on a college scholarship but was injured my junior year. This lead me to find weight lifting, but to also have a lot of ups and downs with food. 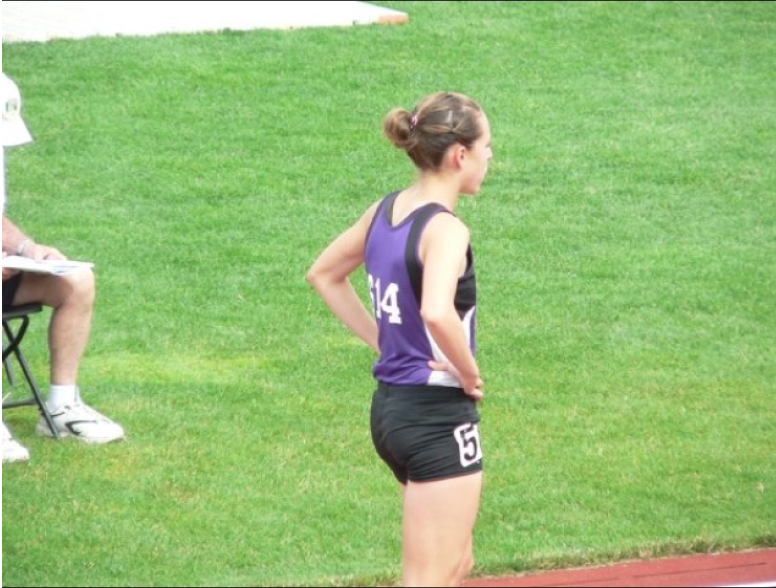 My relationship with food struggled during this time: I thought that the lighter I was during my track days, the better. As a result, I found myself constantly trying to see the scale go down as opposed to fueling my body and running and my eating issues initially started. I did not have any sort of disordered eating until this time. Early 2011, freshman year of college, after gaining 20lbs. 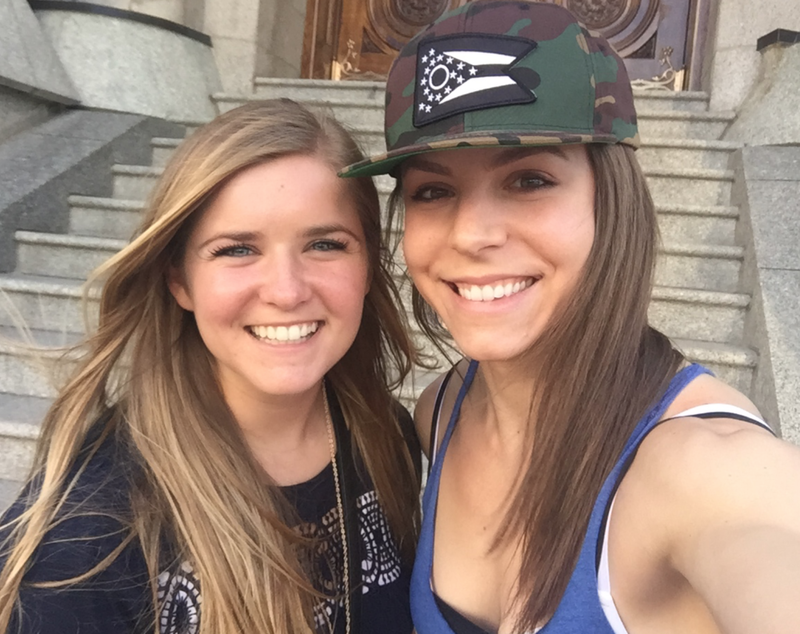 I struggled with my identity being solely found in running. When I was not running, I felt like my identity was gone. During this time, I was trying to eat clean, restricting myself to low calories and high amounts of cardio, giving up... Gaining the weight back again and again. A very low time in my life and frustrating. I did not know what to do. I was able to lose about 25lbs by late 2011 through double cardio sessions each day and low calories. I was anticipating starting my prep at this time, but I was given a meal plan that was less than 1000 calories. This threw me into a tailspin. March 2012. I do not have pictures from January of 2012 when I regained all of the weight lost in 2011 and more. I successfully lost another 15 pounds through excessive cardio and low calories but was struggling a ton with consistency. Binging one week, starving myself the next. 2013: Around the time that I discovered flexible dieting and slowly transitioned into CONSISTENT eating patterns along with a solid weight lifting program that emphasized heavy compound lifts such as squat and deadlift. Before this time, I never lifted heavy for the fear of "bulking up" and was told my legs would not look good from squatting heavy ;) I reverse dieted from May of 2013 until April of 2014. Beginning of my prep for my first show in 2014. I weighed about 162lbs here and started prepping with Layne Norton. I followed a Power / Hypertrophy program until June of 2014, when I started Daily Undulating Periodization powerlifting training to train for my first meet in November of 2014. August 2014 - Mid-Prep and about 150lbs. My First Show: NPC Kentucky Muscle in November 2014 where I won class F. 142lbs. Winning my IFPA Natural Figure Pro card the following weekend in DeKalb, Illinois. [Told you I was crazy doing three events in three weekends ;)] Winning the overall title, tall class title, and novice category. 140lbs. My first ever photo shoot that winter. Spring 2015. Slowly reverse dieting and maintaining stage leanness. April 2015. Second meet ever. 347lb squat, 165lb bench, 363lb deadlift. Still maintaining 142lbs. May 2015. Decided to compete again in figure but did not have to diet down much due to maintaining leanness so close to stage weight. In hindsight, not a good move to stay at below 10 percent body fat for an extended period of time, as I lost my period for over a year and was experiencing hormonal effects. 2015 National NPC Shows. I competed two times and placed in the top 6 in my class, but knew that I needed some time off from competing after Team Universe. August 2015. 138lbs when I cut down to 63kg in order to qualify for nationals in that weight class. This ended up being a very bad decision and unwise as my weight class was under my stage weight (LOL WAT). I injured my back at this meet and it took me over a month to recover. I recovered just in time for Raw Nationals but it was a push to the finish line. Raw Nationals 2015, where I decided to NEVER compete 63kg again LOL. I miraculously healed form my injury and was able to win the junior title at 72kg. Hit a 347 squat, 170 bench, and 375 deadlift in my last meet as a junior. 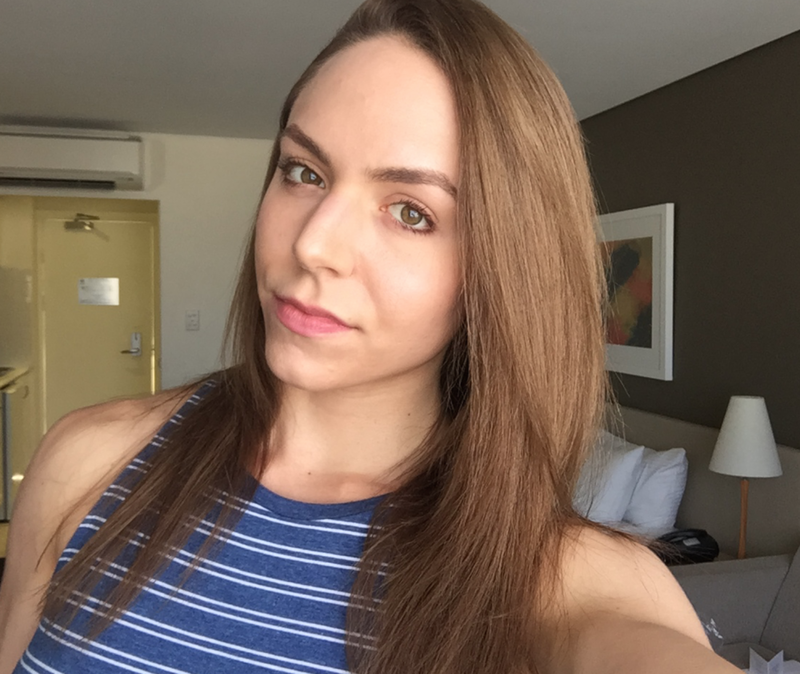 By January 2016, I was up to 150lbs, got my period back, lifts exploded, and I was focusing on being HEALTHY first and foremost with my sights set on the Arnold 2016 and that 400lb squat ;) For the first time in my lifting career, I was focused on powerlifting solely and not dieting for a bodybuilding show at all. Arnold 2016 coached by Jacob Ormes. I hit a 374 squat, 170 bench, and 408 deadlift. Nationals 2015: 5th Place with a 396 squat, 182 bench, and 413 deadlift. Photo Credit: Brandon Lee Wells. 2017 has been an amazing year and where I have come to in my journey... 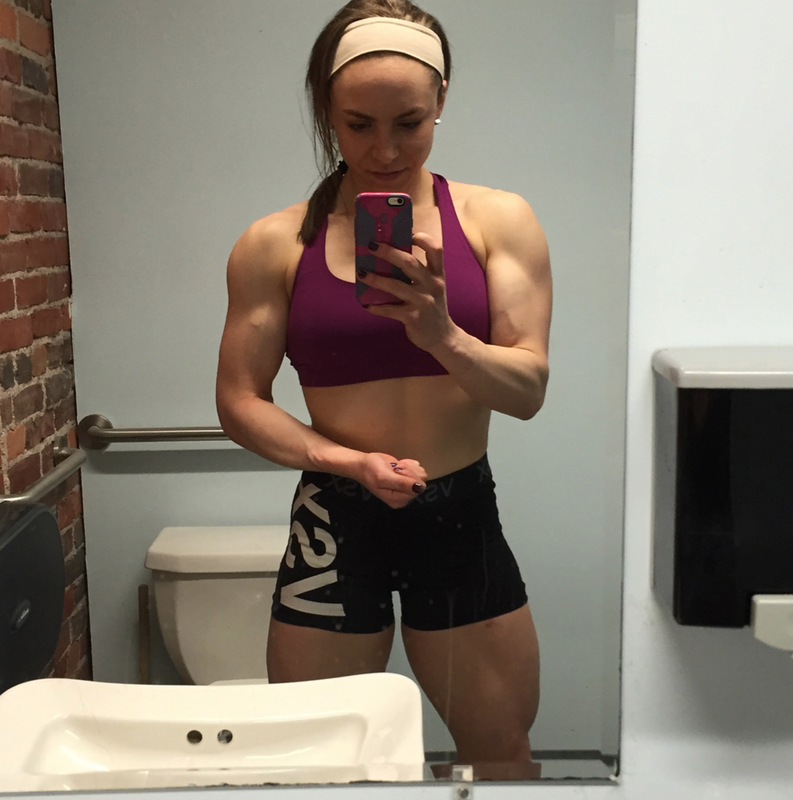 Focusing on both powerlifting and bodybuilding. But more importantly, having a life NOT centered around my looks and my body, but rather the person I want to be and the impact I want to make. I have maintained a body weight of approximately 158-162lbs since mid 2016. I most recently competed at the Arnold in March, where I hit an all time PR of 1003lbs with a 396 squat, 182 bench, and 424 deadlift. My journey has been long with many twists and turns. What initially started as a passion for athletics at a young age developed into a post-college bodybuilding and powerlifting competition endeavor. Throughout my entire journey, one part of my story that cannot be emphasized enough is the importance of the process & journey... Not solely an end point or show date. Vital: learning the lessons pertinent to us throughout the process of improving ourselves without losing sight of the fact that an end result will NEVER bring us happiness. Temporary joy can be found in events but the lasting impact and joy that is associated with any task meant to develop us is found in the PROCESS, or as some like to call it, the daily journey or grind. HOW are you leaving your impact wherever you go? How are you making a difference? One of my favorite expressions by De Novo Nutrition is the simple notion of "leaving your mark". Leaving your mark will not involve the sole focus on one's self. It involves more than just US. How are you making an impact in what you are doing? How are you hoping to "leave your mark"? I can tell you that leaving your mark must be more than stepping on stage or competing in one powerlifting meet. Share your journey. Inspire others along the way. Use your gifts to impact others and you will see your mark grow bigger than you ever anticipated. 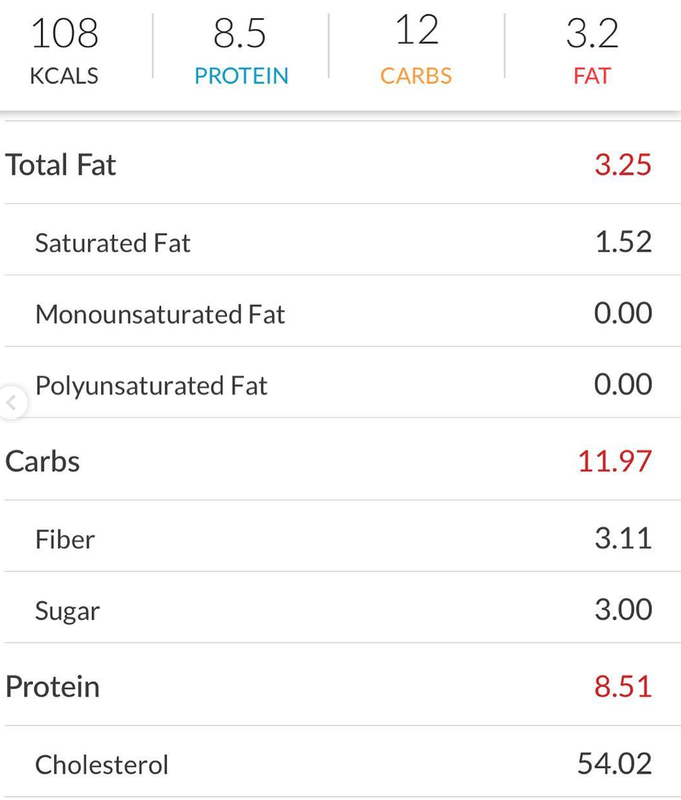 EATING OUT AND TRACKING MACROS - it is easier than you think! How to make chipotle and donuts fit your macros! One of my recent favorite recipes has been veggies - pizzafied! Essentially the most delicious way to get in a few servings of veggies each night! :) A super LOW calorie way to get your pizza fix in each night! I make my recipe with riced cauliflower - however, broccoli florets or simply steamed cauliflower would also work. Heat skillet with coconut oil and cook spinach, tomato, garlic, and any other veggies of your choosing in a pan. After those are cooked for approximately 5-10 minutes, add one steamed bag of riced cauliflower to the mixture in the pan. Add turkey pepperonis as well as onion powder, oregano, salt, and pepper to taste. Finish with a pizza sauce of your choice. My favorite brand is Carfagna's (but I think it can only be found in Ohio, unfortunately). Continue to sauté until all ingredients are heated (approximately 3-5 minutes) and the flavors have a chance to blend together. Take off burner and top with parmesan cheese and more seasonings as desired. Some people love ranch on their pizza - so you could also add ranch dressing! Katie Anne Brownies with a banana almond twist! One 100g brownie: 22 carbs, 12 protein, 2 fat. My brownie recipe has been swirling around different social media platforms… And thank you to all who have tagged me in their creations! My latest version is banana almond. I was out of chocolate chips (so sad), so I decided to make a slight tweak to the recipe to add a pop of flavor. These brownies are very DENSE. You may read the list of ingredients and be skeptical – but if you add enough stevia, they will taste great (in my opinion) Not quite like the real thing. But pretty darn close. AND you get a 100g brownie for the macros. 5g of fiber. And the perfect addition to any ice cream creation or when you have a sweet craving. I love making up calorie-friendly recipes that have more fiber, less sugar, and are a healthier option for those who might be dieting and want a filling treat. I have been through contest prep several times and know what it is like to crave the real thing – but want more than just a bite. This recipe will give approximately eight 100g brownies for your enjoyment 23 carbs, 12 protein, and 2 fat. And 5 fiber from the black beans! Mix all wet ingredients in a food processor until smooth. Add dry ingredients (baking soda and baking powder at the very end and pulse a few times). If you have chocolate chips, add at the end as well. Bake in a greased or sprayed glass baking sheet (you will either need two 9 inch round baking glasses or one 9in x 12in pan – you can also bake in mini loaf tins for individual brownie cakes. These are best after one night in the fridge. Enjoy!